Finch Hattons Camp is an exclusive camp that offers its guests a unique opportunity to relive the golden era of the safari, with elegance, first class comforts and the finest cuisine surrounded by the spectacle of the great African wilderness. There is an elevated swimming pool next to a shaded deck area, surrounded by indigenous trees. Drinks are available from the bar and make this a stunning and very peaceful place to relax. There is a cosy library and reading room with a varied choice of books, located on the elevated mezzanine floor. An excellent range of classical and slightly more contemporary music is found here which includes many of the Mozart classics favored by Denys Finch Hatton. 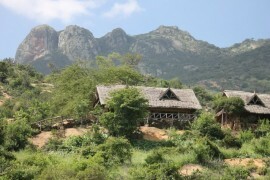 Finch Hattons’ spacious, beige, safari tents have large ‘windows’, wooden flooring and a permanent thatched roof. The camp accommodates up to 50 people in either double or twin bedded accommodations. Period brass lamps, writing desks and Afghan Kilims complete the setting. 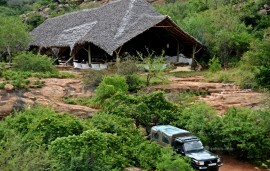 Finch Hattons gourmet meals are served in a remote and wild setting. They aim to achieve standards of food preparation and culinary protocol that are are unmatched elsewhere in the bush. The imaginative and delicious cuisine uses only fresh Kenyan produce, and is very good indeed! 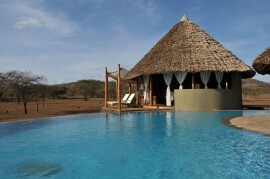 After a morning of game viewing, guests may want to relax and enjoy a refreshing swim. 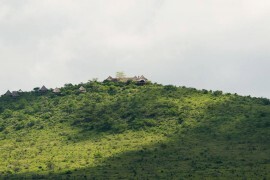 Activities include game drives and bush walks. The camp has a stylishly furnished conference room convenient for all types of small board meetings.